Now when the nature is literally springing back to life, take time for an out-of-town trip. If you are heading to the small town of Kuldīga, where you can see Ventas Rumba, the widest (240m) waterfall in Europe and a 1874 brick bridge over the Venta river as well as many other peaceful nature views, we advise you to stay at Kalnamuiža, or Berghof. Located on a hill and embraced with a beautiful park, this splendid estate has preserved the elegant ambiance of the past centuries and carefree baronial life. The first mention of Berghof dates back to 1539, when bishop Hermanis gave the land and deposit to Johanss Renne to build a mansion. Berghof changed owners many times until 1855, when it was bought by Barons Georgs Von Medems. At that time Berghof served as a summer residence and hunting house of Von Medem, in the large hall downstairs men used to enjoy a smoke discuss their haul, while the bedrooms upstairs could accommodate guests for the night. Even pheasants were grown there to please Baron’s friends! In 1905, when the revolution spread all over the Russian Empire, with Latvia being a part of it, the rebellious uproar didn’t pass by Berghof – it was burned down to the base. 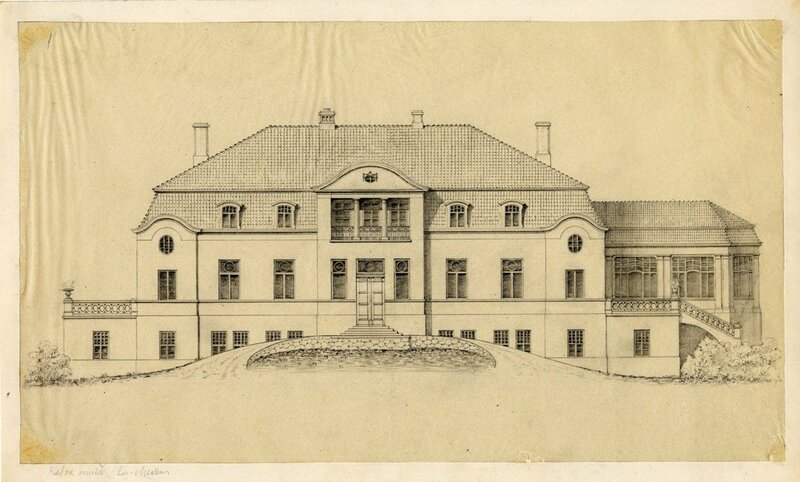 In 1906 Barons Heinrihs Von Medems, a son of Georgs, decided to rebuild Berghof and the choice fell on the project of Gvido Berchi’s, who originally united architectural and interior styles of different centuries, from neorococo to Empire style, that is why the manor creates an impression that it was rebuilt and had some pieces added several times. During the agricultural reform of 1920 feudal properties were liquidated; at the same time the name Berghof was translated as Kalnamuiža. In 1923 kids’ laughter filled the spacious rooms of the manor as Sieksāte elementary school was sheltered there. During World War II Kalnamuiža was serving as a German military hospital. One would be surprised to find that Kalnamuiža also houses a Latvian Dairy Industry Museum, telling about milk processing technologies from centuries ago till nowadays. 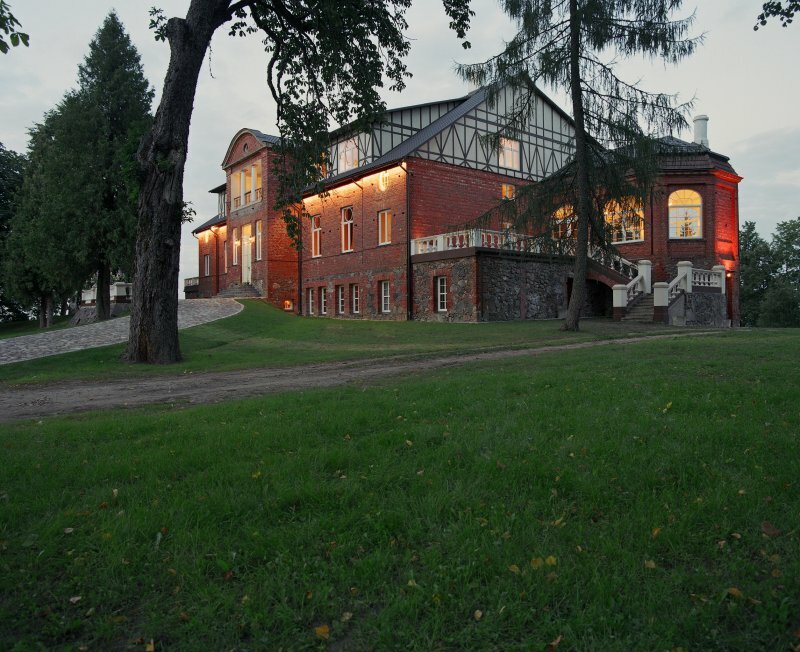 In the Soviet times the manor became the property of Liepajas Dairy Plant, and the Dairy Museum was established. Last year gave a start to the tradition of the Grand Latvian Milk Table here. Today Kalnamuiža, or Berghof, is a newly recovered neo-rococo pearl in the very heart of the Kurzeme region. 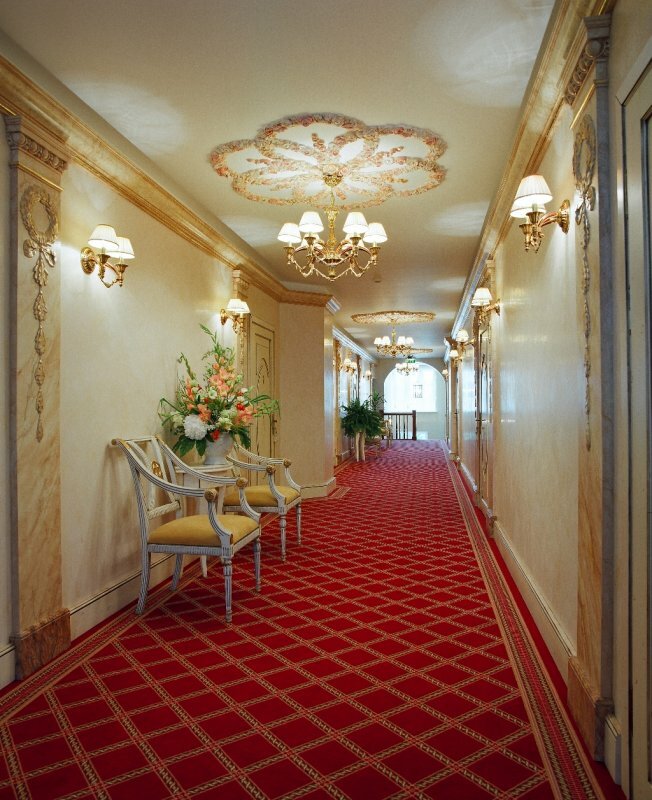 The interior features rich decorations such as wooden pillars, carved and gold painted ceilings, tile stove, elegant candlesticks, exquisitely framed mirrors, and lustrous parquet floor. There are several halls available for celebrations or business conferences. Choose between the Large Hall, the Sailor’s Room, which by Baron’s own idea is featuring elements of his Medem’s wrecked vessel, or the Līgo Hall, which saw an impressive list of international VIP guests in 2006, when the President of Latvia Vaira Vīķe-Freiberga was hosting Līgo (summer solstice day) celebrations with ambassadors of different countries. Yet one of the most special rooms is the Fireplace Hall, where you can just cozy up with a glass of vine, watching the logs burning in the fireplace. After a trip indulge in the sauna complex with Finnish and Turkish saunas and an Arctic spa – the joy of swimming in the warm pool under the stars. Whether it’s business, a family vacation or romantic getaway, once you experience Kalnamuiža you will not want to return to modern life.